Do you believe in heroes? The kind who’s sure come to save me when I’m in a pinch, however deeply I’m locked away. I’ve waited for him for so long. And today he’s coming back. Everyone has certain preferences regarding their taste in anime and fiction, in general. I’m a dark-fantasy-epic-sci-fi-historic-tragedy kind of person. Rooting for a group of teenage misfits with color-coded hairstyles who slowly grow into a team that ends up beating another high school’s elite squad against all odds in any given discipline requiring chasing after round objects is quite a bit out of my area of expertise. 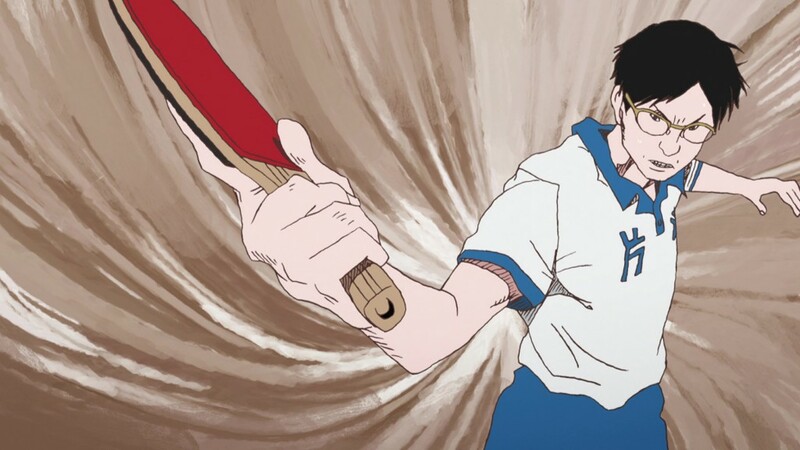 But then again, Ping Pong the Animation isn’t that kind of sports anime. You don’t chase the ball. The ball chases you. 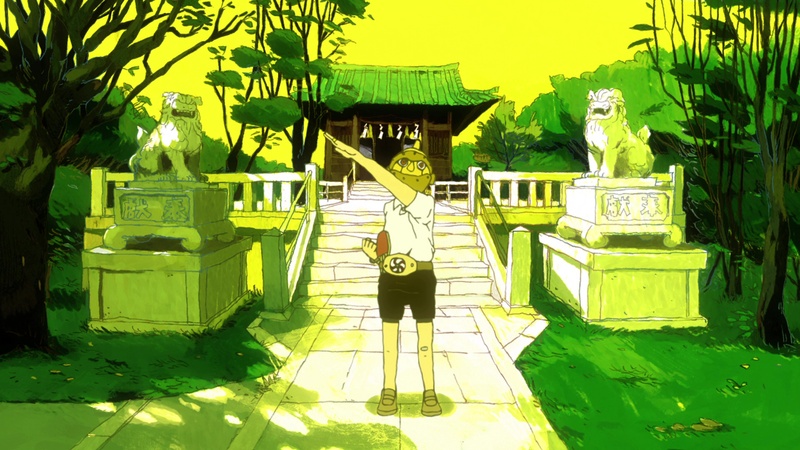 It wasn’t Ping Pong, however, which taught me that leaving your comfort zone can lead to discoveries of quality entertainment in the most surprising places. That job had successfully been taken care of by Friday Night Lights many years ago, leaving me much more open-minded towards stories revolving around subjectively “boring” things like sports. 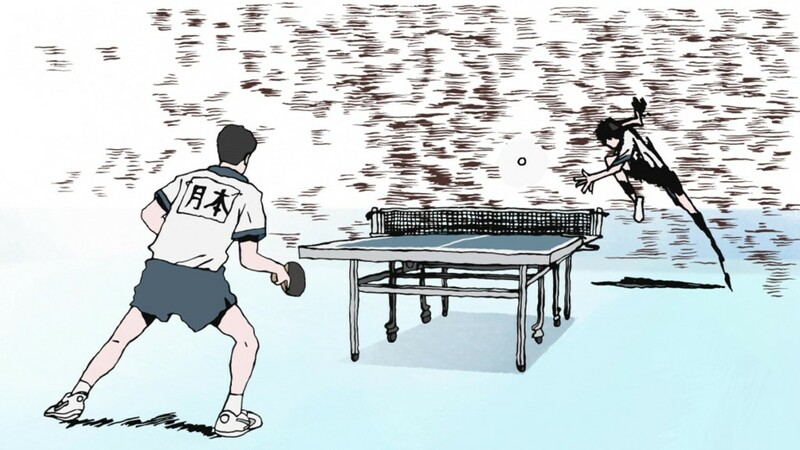 Ping Pong simply reaffirms my then-gained realization that great storytelling and wonderfully sensitive characterization can be found in any genre, even the ones I’m theoretically not all too interested in. With a vengeance. Defeats and setbacks! Loss and grief! Isolation and turmoil! Anguish and despair! Nihilism and ruin! 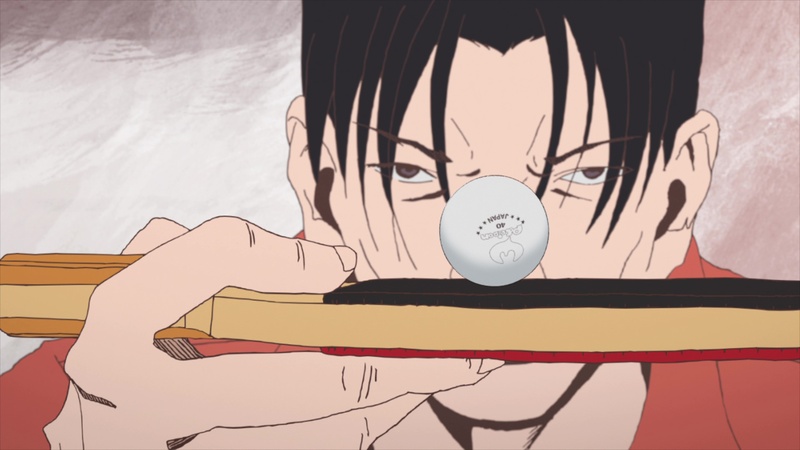 Based on a seinen manga by Taiyou Matsumoto from the mid-nineties, Ping Pong aired in the spring season of 2014 on Fuji Television’s late night noitamina block. 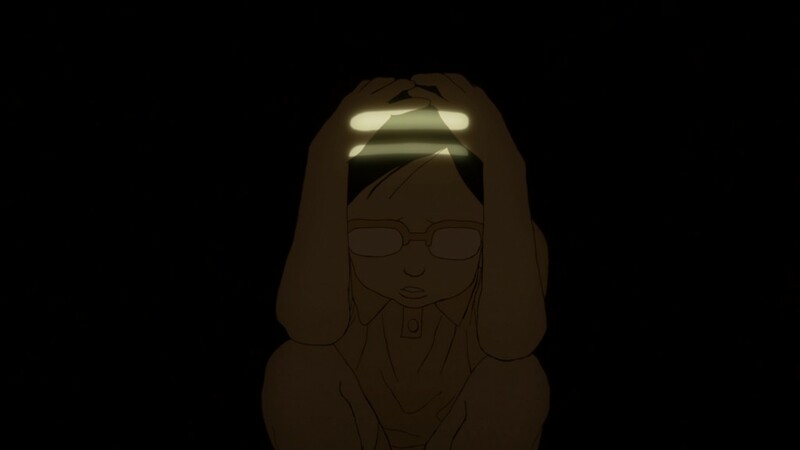 Matsumoto (Tekkonkinkret) is known for his unconventional art style, and the superb direction of Masaaki Yuasa (The Tatami Galaxy) firmly opts against bringing Matsumoto’s designs closer to mainstream aesthetics, which is a blessing. The only way to be sure you won’t lose is to not fight. 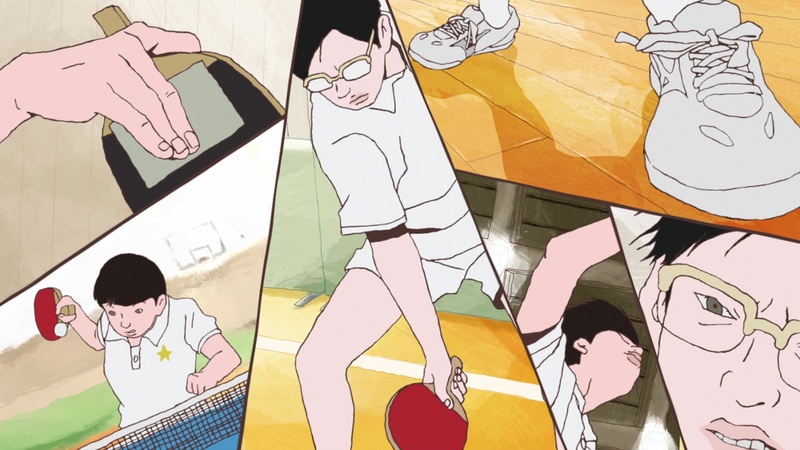 With character designs a lot of anime fans wouldn’t call visually pleasing, and an animation style so unrestrained that lines and borders simply start to dissolve at times, saying that Ping Pong looks “unusual” would be an understatement. There are some views you can’t see until you stand at the top. What sounds like something only art school students might enjoy on an intellectual level is never an end in itself, but always used to tell an emotionally compelling story. 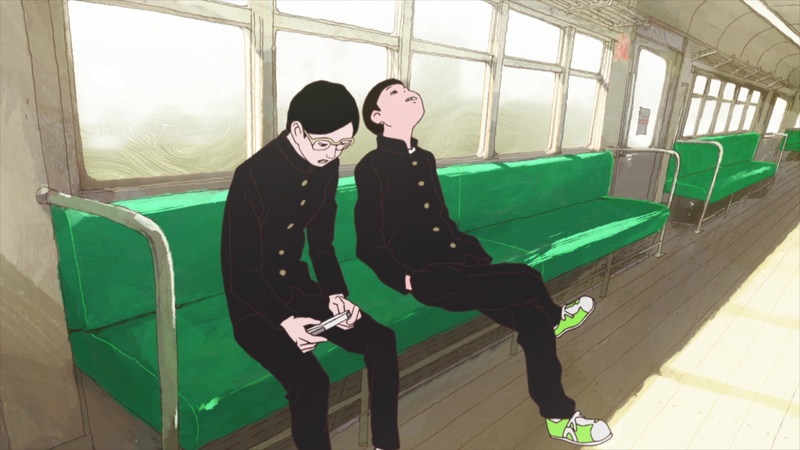 It’s the simple story of a group of high school boys drawn to the very serious sport of table tennis. It’s fundamentally different from the “ping pong” on a hot springs vacation. Some pursue it because they are good. Some are good because they pursue it. Some have the talent, but lack the dedication. And some have to realize that heart alone is not enough to realize their dream. Having a dream takes talent. Those without talent should stay out of it. 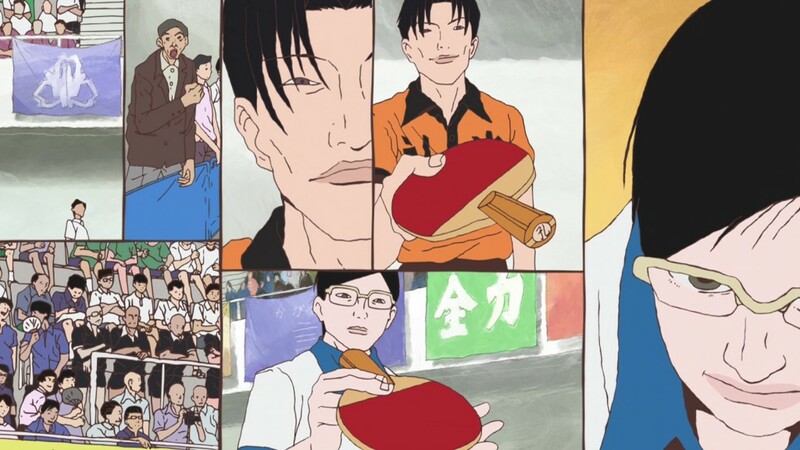 As table tennis is an individual sport, the story doesn’t revolve around the boys growing together as a team or learning how to trust one another. Instead, their stories and motivations are deeply personal. 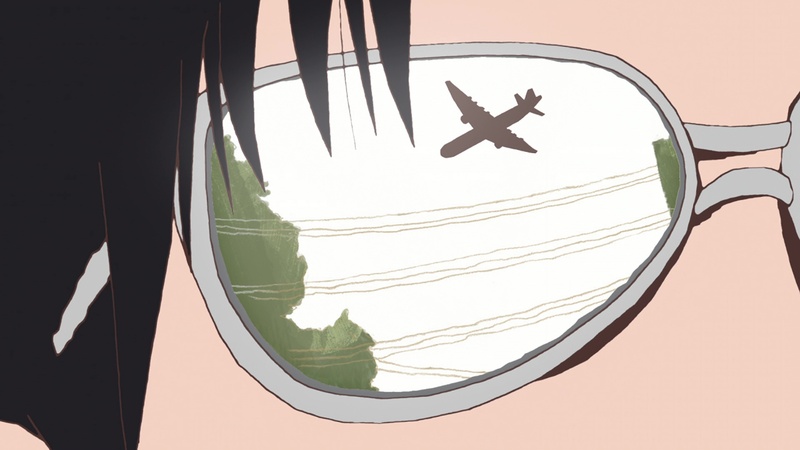 Over the course of just 11 episodes, the series manages to explore the backstories and personalities of its five main characters more fully than other shows do in twice the time by making use of all the means film language has to offer and not wasting a single frame. The frequent split screens, reminiscent of manga panels, let shots and reverse shots be shown side by side, simultaneously compressing and expanding time and space. I could fly! I could jump up and touch the moon without breaking a sweat! 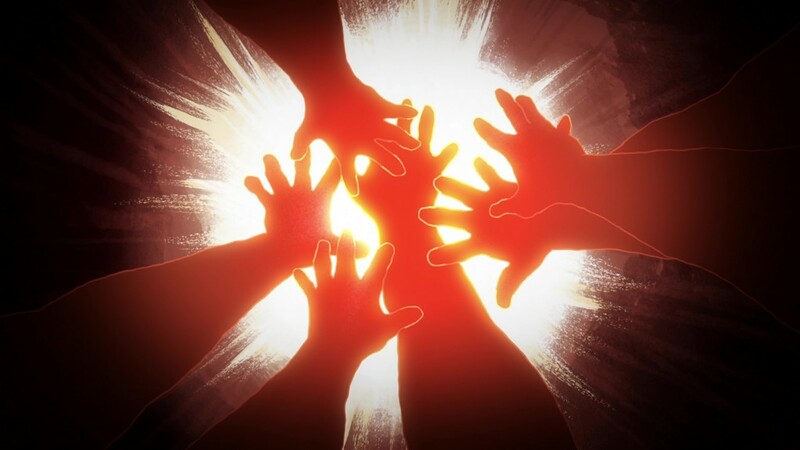 The surrealistic art allows for the integration of powerful visual metaphors representing the characters’ fears, dreams, and motivations which might feel out of place in a more traditional style of animation. Within this framework, the ball in a match can turn into a plane, intercut with a real plane preparing for take-off outside the gymnasium, a plane one of the players would like to be on right now. When the ball getting caught in the net prompts the plane to take off without him, we know he won’t be returning home any time soon without any need to even show us the game’s result. 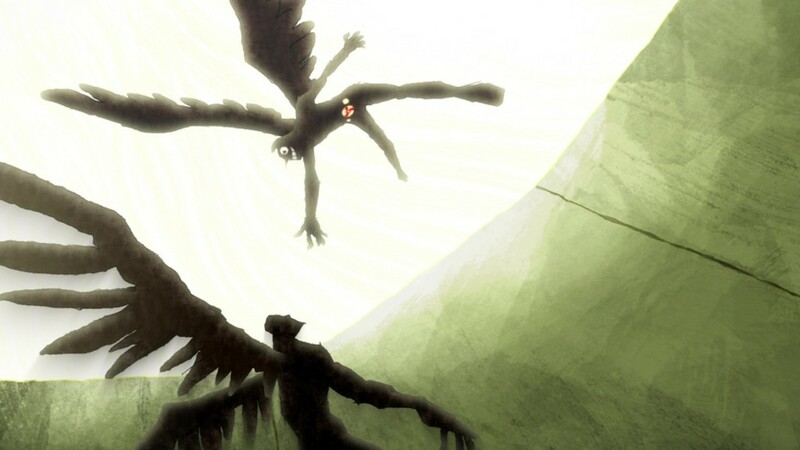 My wings can’t take any more. 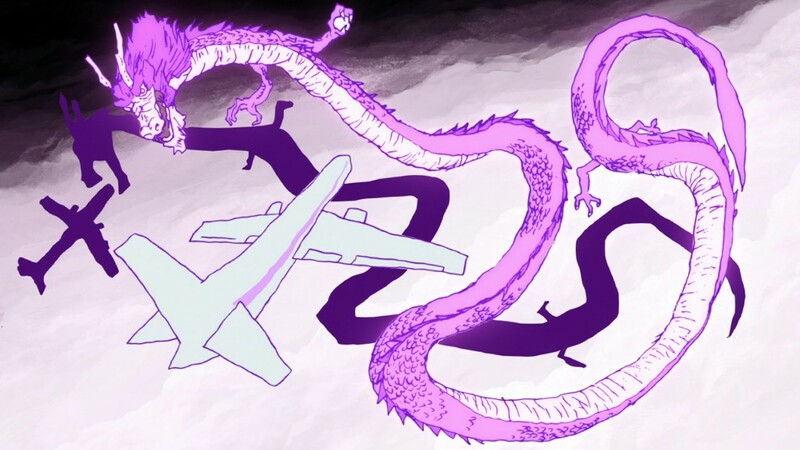 Simple table tennis matches can feel like superhero fights when the players transform into robots battling against dragons. Spliced with flashes of childhood memories and dreamlike symbolism, Ping Pong‘s fast-paced editing enables the viewer to feel the same emotions as the players by visualizing their inner conflicts and what’s at stake in an effortless, intuitive manner. There’s no shortcut to victory. You have to climb that steep mountain one step at a time. There’s an abyss down below, and it never ends. Your only choice is to keep climbing! 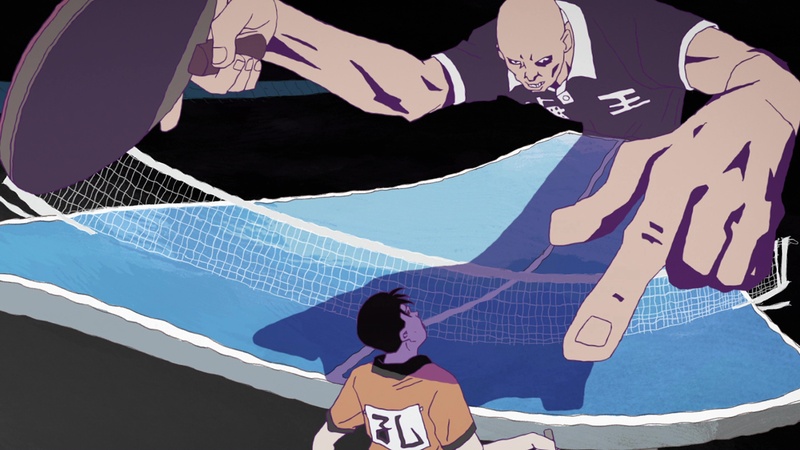 Ping Pong‘s visual excellence is matched by its fantastic sound design. Frequently relying on a purely diegetic soundtrack – the humming of a player, the squeaking of shoes, the bouncing of the ball, all of which can combine to create a thrilling rhythm – the most memorable use of music is a sequence uniting the players through the sound of a karaoke tune at Christmas, contrasting blossoming friendships with empty loneliness, and make-belief wishful thinking with reality, abruptly ended by the light of a candle flickering out. I was on an aimless journey to find myself. I wandered all over, but I couldn’t find anywhere that agreed with me. 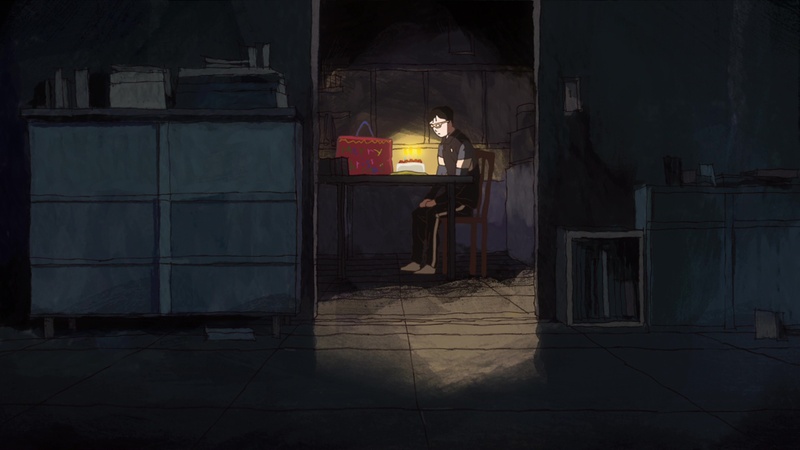 In a time where too many anime rely on having their characters explain their feelings and the exposition via lengthy (inner) monologues, drowned in sappy music to make the viewer feel something, anything, Ping Pong is a wonderfully honest, intimate, yet cinematic series. Bursting with the melancholy of adolescence, it’s a story about letting go of your dreams or learning how to commit to them with all you have. You told me how to fly. 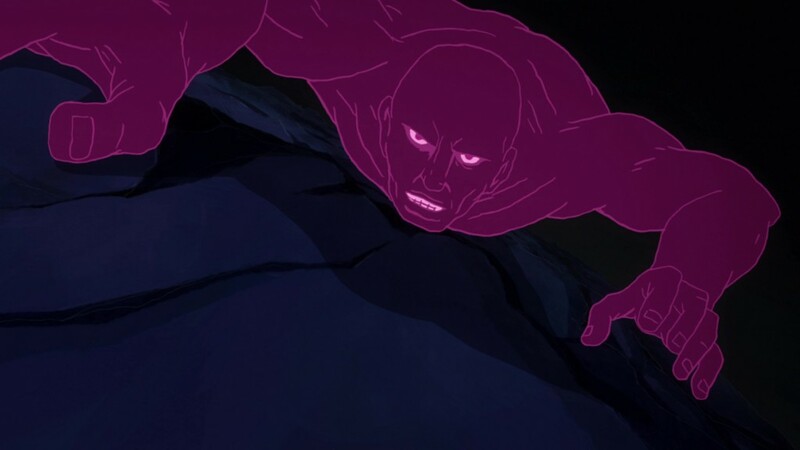 At a runtime of just over four hours and with a somewhat limited budget, it manages to show what animation and visual storytelling can achieve when they try – and succeed. The hero overturns what we thought we knew, and drives away the darkness. 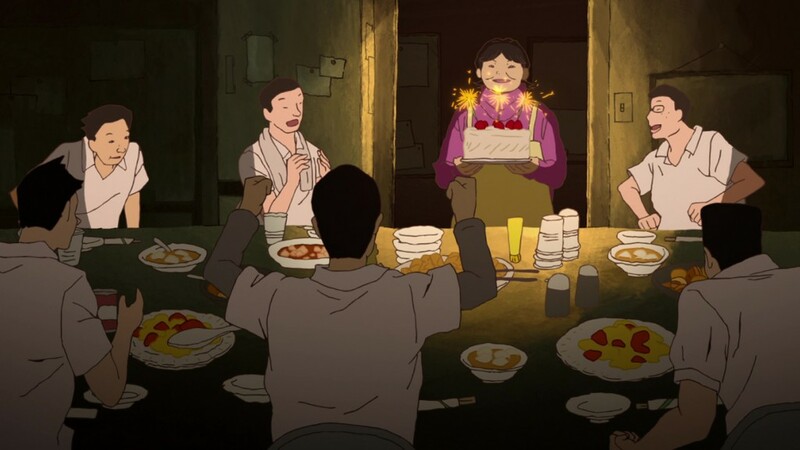 Ping Pong the Animation is a declaration of excellence in technical and narrative terms, recommended to anyone tired of clichés, eager to experience the beauty of a simple, personal story through masterful execution. This review was written for the Anime Herald in February, 2016.